Last Sunday, the picture book I made with illustrator Anton Van Hertbruggen, LE CHIEN QUE NINO N'AVAIT PAS, was mentioned on French national radio. 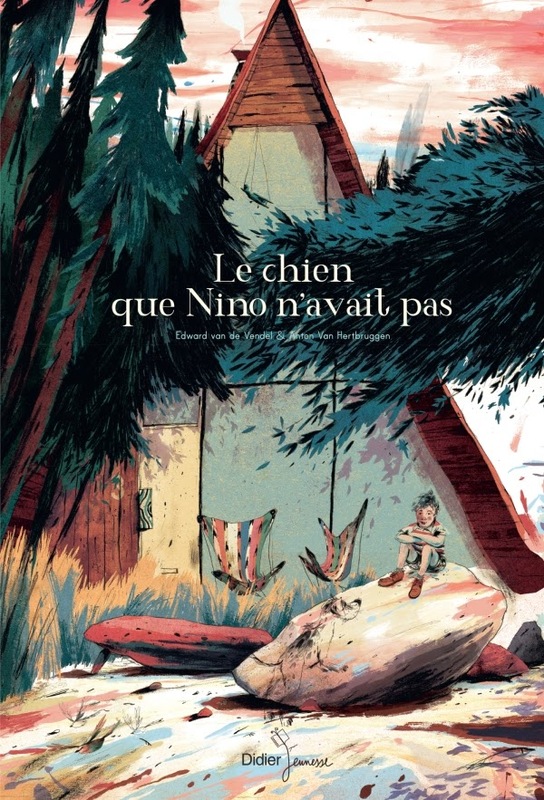 It's the French translation of HET HONDJE DAT NINO NIET HAD (THE DOG THAT NINO DIDN'T HAVE), originally published at De Eenhoorn in Belgium. This book got the top awards for illustration, both in Belgium and The Netherlands, and the rights were sold to Denmark, Germany, France, China and the United States. The French edition was issued by Didier Jeunesse. If you speak French you could listen to the first two minutes of the emission, here. Or read the text through the same link.